Tonight the streaking Reds (32-45; 5th NL Central) look for their eighth straight win in the opening match of a quick 3 game road trip versus the Braves (44-32; 1st NL East) at Sun Trust Park. The last time the Reds won as many as 8 consecutive games was in 2012 during the 10 game winning streak whichÃ‚Â resulted in Marty Brennaman having his then still long but thinning signature locks subsequently shaved at home plate.Ã‚Â Let’s hope the guys can keep it going if for no other reason than to see what sort of encore Marty comes up with this time around. Game time is 7:35ET. Tyler Mahle is scheduled to square off against Mike Foltynewicz of the Braves in a battle of right handers. With his 16th start of his rookie season tonight,Ã‚Â Mahle has reached the halfway point of a full season in the Reds starting rotation. His ride to this point has been uneven. Flashes of promise have been punctuated by reminders that work remains if he is to reach heights Reds fans are hoping for him to achieve. The good news is that in four June starts, Mahle has allowed just 4 earned runs in 22.1 innings of work and surrendered only 2 home runs after being plagued by the long ball previously. The sore thumb is that Mahle has completed just those 22.1 innings in the four starts. However he is young; and, now that he is seemingly learning to achieve otherwise successful outcomes, improved game longevity should (hopefully) come with time and experience. Mike Foltynewicz was the 19th overall pick in the June 2010 draft. He was drafted by the Houston Astros and subsequently acquired by the Braves prior to the start of the 2015 season in theÃ‚Â trade which sent Evan Gattis and James Hoyt to the Astros.Ã‚Â In short order the Braves placed him into their rotation where he has been since. In 79 career starts with the Braves, Foltynewicz has accrued 3.8 bWAR, 2.3 of them coming this season, his age 26 year. Tonight Foltynewicz returns from a short DL stint brought on by bicep tightness in his pitch arm. In his 7 starts prior to going on the DL, his era was just 0.86 while he held opposition hitters to a sub .200 batting average. Foltynewicz is prone to walking folks at times but compensates with an extremely high K rate and extremely low HR rate. Mahle can follow the same prescription if he can nudge up his already very good K rate just a bit and continue to allow home runs at the reduced rate (0.81/ 9) he has in June. The Reds pen was tasked to cover 4 innings on Sunday.Ã‚Â Four players pitched an inning each. Of the four, only Amir Garrett was pitching on a consecutive day (total of 1.2 innings; 15 pitches for both days) and would figure to beÃ‚Â somewhat limited tonight. The Braves pen has been called upon to provide 16.1 innings over their last 3 games due to an extra inning game on Friday which required 8 bullpen innings. However, their 8.1 bullpen innings on Saturday and Sunday were well distributed with no one working both of those days. Still if the Reds could get into the Braves pen early, the accumulative effect might be felt throughout the series. Get busy at the All Star ballot boxÃ‚Â and help make this so. While you are there don’t forget to vote for Suarez and Votto too. The last week has brought heady times for Reds fans, a welcome relief to the early season nadir which threatened to drive us all into a season long fit of depression concerning the Reds direction. 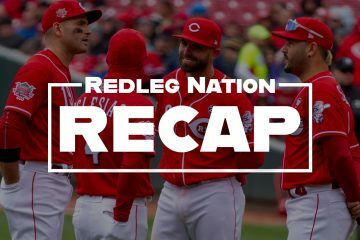 The improvement in the Reds outcomes of late has everything to do with a leap forward in quality and stability of the starting pitching. However, there figure to be more tough times ahead. 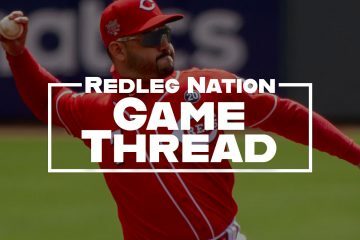 Even as tonight’s starter Tyler Mahle and Sal Romano seem to be growing into their rolls, it is unlikely they have the innings in their arms to make it through to the end of the season. Matt Harvey will certainly be traded. How the Reds fill these openings and the outcomes produced by the players who take over these innings will figure substantially not justÃ‚Â in 2018 but also for future planning. The prescription now as back at the start of 2018 is to try our best to stay on even keel. Enjoy the moment to its fullest; but, keep those seat belts buckled.Ã‚Â GO REDS! Jim, great preview as usual. The innings limit Was not on my radar until you mentioned it. You are right, weÃ¢â‚¬â„¢re going to see some different pitchers After the All-Star break. Do you think they might skip a start for each starter and try someone from Louisville in their place? “Improvement in starting pitching” tells only part of the story of why the Reds are on a 7-game winning streak. The team was bottom 5 in HRs hit virtually all season, but in the last 7 games has out-HR’ed the opponents 14 to 10. More importantly, there have been 2 games where the HRs were even, the other 5, the Reds hit more HRs in the game. More over, 3 grand slams in 5 days and 2 pinch-hit HRs on another have certainly helped. With this team’s collective OBP, hitting more HRs is going to overcome giving up 5 runs or more, which happened 3 times during this streak. SunTrust Park is 29th for HRs this season (only Oakland is worse) but maybe Folty isn’t so sharp after being on the shelf. Folty is a classic example of a young guy who was given the ball every 5th day for what now is his 3rd year of being a starter.He still struggles at times to get past the 5th inning even now but he has electric stuf.This highlights the difference in thought process of the two organizations.The Braves were ok with him getting beat up every now and then because they remember how Smoltz and Avery and Glavine fared their first 40 or so starts.I still look at ERA and this dude sets at a little over two and that is really good.You just have to let the young guys pitch sometimes. That looks like the guy who tore the cover off the ball in Spring Training. Love him in the leadoff slot. I’m not sure about innings limits . Castillo and Mahle were both around the 170 IP last year so they should both be able to go 180-90 IP this year and 30 starts assuming health….disco should be ok at 120 IP and 20 starts. Romano should be able to push 170 IP as well. YouÃ¢â‚¬â„¢re forgetting about the post season innings, arenÃ¢â‚¬â„¢t you? Jim, is Lorenzen available tonight? They might need to spell him after that long run around the bases yesterday. CF Kevin Kiermaier is back from injury w/the Rays. He hit a granny tonite. He’s not a great hitter, but .788 ops last year with 15 HRs/16 steals in 98 games. He was also supposedly the #1 defensive CF’er in mlb, but no way he’s better then Billy? The injuries are an issue, but he’s a good player and huge upgrade over Billy overall. He’s also signed thru 2023. Interesting, Indy. Not really sure if it fits the Reds needs though. He’s 28 already, and his contract is pretty nice given his career WAR, but it would be significantly higher than Billy’s. Not sure if the Reds want a 10+ million dollar 30+ year old in center when Trammell/Siri/Friedl might be big league ready. I imagine the Rays would probably ask a fair bit for him as well. Still, interesting thought. Not the start we were looking for. Bring back the rain. Good test for Mahle. These guys aren’t SD, KC, or Detroit. I like him alot, but he needs some work on his secondary pitches. His slider can be really good like that last K….but he needs to trust it more. Ugly first inning for Mahle. Hope he bounces back, as the Reds can’t afford to get much further behind on the scoreboard against the Braves. Mahle needs GPS to find the strike zone. 41 pitches through 2 for Mahle. Unless he gets his act together, we’re going to see the bullpen before the 5th. Mahle, Castillo, and Romano are young, but Mahle’s era is 4, Romano is at 5.40, and Castillo is at 5.70? They’re not breaking .500 and competing for anything like that? Thats why they really need to throw Lorenzen and/or Garrett in the mix this year. Plus sign or trade for atleast #3-4 type (3.60 era) type of guy. Typical BobSteve night on the mound tonight at AAA. 6IP; 1ER (solo HR); 5H; 3BB; 11K; 98P/63S. He walks too many but misses a lot of bats, not unlike the Braves pitcher tonight Foltynewicz. They should give BobSteve another shot. Its not Romano and Castillo are tearing it up? His minor league #s are better then what Romano did in the minors as well. They just don’t believe in Stephenson or something? It was criminal what they did with him last year in the 1st half. 1-2 innings in a blowout…once a week? Who can stay sharp like that? Bob Steve’s stuff is good enough to overpower AAA hitters, but he will get clobbered if he tries the same thing with MLB hitters. He needs to change his approach to succeed in the MLB, but by all accounts, he’s very stubborn and no at all open to instruction. 3.30 era in the 2nd half last year? Better stretch then Romano has ever had. Chris Sale didn’t like the throwback uniforms so he cut them up last year. Some of these guys are high strung and egotistical or whatever. Bottom line….either pitch him or lose him. He Ks people. Romano usually doesn’t. He’s better in the minors then Romano as well. 2-0 pitch…Billy swings at ball 3? Peraza was 2-0 and hacking at garbage last time. I don’t tolerate dumb very well. Schebler visits the chop house!!! I wanted to walk away from the game, but something told me to wait for him to bat. I wanted to walk away from the game, but something made me stay for his AB. Reds on the board… Only 5th inning, so there’s plenty of time to tie this thing up. Or give it right back from the looks of it. The Reds have made huge strides in the bullpen from 2 years ago and that bullpen needs to stay. The current offense with a minor league pipeline of senzel.trammell.india + others looks promising. It’s time to zero in on the rotation and that means adding a strong outside piece in 2019 ( preferably a lefty) and narrowing down the inside pieces to the best 4 . DW has said the Reds are buyers. I don’t see any big trades unless an elite SP comes back and all 30 teams are looking for the same thing. Geez, Mahle ready to give back the run and more… Ugh. Wheels coming off Mahle quickly. Can’t find the strike zone. Double play helps but he needs to strand that runner at 3rd to keep the Reds in the game. Wow. Gotta hand it to the kid. That was major damage control. Pretty impressive. When or lose this game that mightÃ¢â‚¬â„¢ve been a right of passage for Mahle. The batting average allowed with runners on is impressive. 2nd in the NL in doubleplays as well. He’s got a great future. Not quite electric stuff but he has a little better ceiling then a healthy Disco imo and the same bulldog mentality out there. Scooter with another lucky hit! His ob-wan-g-know-b % says he’s due for a Ofer-40 any day now. Minimum damage. Kept the team in the game. Good gosh. Peraza pops up a first pitch from a guy who just walked in a run. Stupid baseball. I’m sorry, but Duvall needs to let that hit him. Easier said than done. 0-2 pitch….yeah! That ball was coming in on him too. Take one for the team. Tie game but now there’s 2 outs with Billy up. Ouch. Bring a 6.75 era pitcher with 10 innings into a 2 run game? Thats like Price/Riggleman pitching Jackson Stephens in a 1 run game in Arizona. Quickly turned into a 5 run game. Its not the Braves don’t score and don’t have blowouts the kid could pitch in? We’ll gladly take it!!! Jose Peraza is the #30 SS in War . Billy Hamilton is #30 CF in War. BC and WJ have done a wonderful job of eliminating all internal competition at CF and SS. Look around baseball. Those 2 positions are some of the best players in the world . Look at fangraphs CF and SS. It’s not 4 or 5 guys….it’s 20 or 25. If you can’t hit in 2018, you aren’t a CF or SS. Omar Moreno and Jose Lind aren’t the standards anymore. It’s Francisco Lindor and Carlos Correa and Trevor Story and Corey Seager and Mike Trout and Andrew Benintendi and Lorenzo Cain… Peraza is who he is….a .275/ .310 OBP with an ISO below .100. he’s ok at defense but not the answer at SS. I’ll take Scott Schebler in CF and Nick Senzel at SS. Its a no-brainer. It really is. Crockett! He should’ve been up over Peralta a month ago. It doesn’t matter this season, but if they’re ever competitive again it will. I just noticed you are on Twitter. I am following you now…it’s a Maple Leafs related account. Been a fan since I was a kid, and could be get Hockey Night in Canada from Windsor on big antenna (pre-CBJ). I may tweet once hockey season starts, but it will be light-hearted, When your team hasn’t won the Cup in your lifetime….sarcasm helps. I am heading to bed. Bring this one home without me, will you please? Riggleman has Scooter bunt with 2 on and no outs in the 10th… of course they walk Suarez and leave it to Winker against a lefty. I’m not sure how many managers bunt the guy leading the league in hitting but it just ended up with 2 on, no out and no runs. It’s nothing personal against Riggleman, but the “by the book”/have to bunt every time in that situation is just so antiquated. The Yankees got rid of Joe Girardi to get Aaron Boone out of the broadcast booth to manage. The No Facial Hair/ No Pride Night/ Blue Blood Yankees went out of the box. But, the Reds bow to media pressure and consider keeping Mr. Old School? Terrible AB by Winker, hacked away at balls 2, 3, and 4. Two on, nobody out in the top of the 10th, and Riggleman gives up an out while taking the bat out of two of his best hitters’ hands. Props on the winning streak, but decisions like this are why he can’t be the manager on the next competitive Reds team. Gotta wonder if anyone who’s managed the Reds has ever bothered to find out how often sacrifice bunts have actually worked out. With one decision Riggleman managed to take the bat out of the hands of 2 of the best hitters in the NL with runners already in scoring position. If the Reds give him the full time job, they deserve every last place finish they get. The Braves broadcasters said “he is probably the only manager in baseball that bunt in that position” or something to that effect. They were trying to cover for him but it was a boneheaded move and probably cost them a shot to win the game. Not to mention the fact that he called for the bunt with Tucker as the lead runner, so he set up a situation where Winker, facing a lefty, either had to get a hit or hit a pretty deep fly ball to get the run in. It was an unbelievably dumb decision. This business of calling it “old school” is driving me nuts, because I don’t believe for a second that Sparky Anderson would have asked Morgan to bunt so that Bench would be walked to bring up Concepcion with the bases loaded. Took the Bat out of your best hitter, Gennett, to have him bunt. I’ve never seen it work out for the Reds. Braves second baseman homers, Reds second baseman bunts, giving up his bat.